Park Ridge Vinyl Octagon Fixed Window with Insulated Clear Glass & Grids, 22" x 22"
Park Ridge Vinyl Octagon Fixed Window with Insulated Clear Glass, 22" x 22"
Park Ridge Vinyl Round Fixed Window with Platinum Cross & Obscure Glass, 24.5" x 24.5"
Park Ridge Vinyl Oval Fixed Window with Platinum Geometric Leaded Glass, 20" x 28"
Park Ridge Vinyl Round Fixed Window with Platinum Cross & Clear Glass, 24.5" x 24.5"
Park Ridge Vinyl Round Fixed Window with Platinum Geometric Leaded Glass, 24.5" x 24.5"
Park Ridge Vinyl Octagon Fixed Window with Platinum Geometric Square Grids & Triple Pane Beveled Glass, 22" x 22"
Our Park Ridge fixed pane octagon window comes with triple pane, square grid pattern, beveled glass. 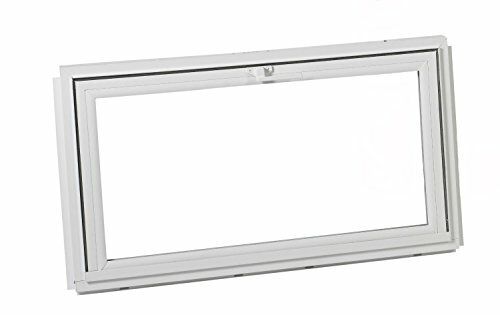 This non-operating window is manufactured with a heavy duty extruded fully welded vinyl main frame that forms a weather tight seal. 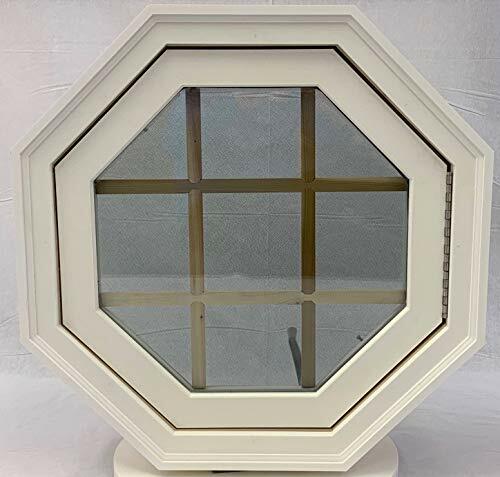 These square grid pattern octagon widows come with 3/4" inch insulated glass and durable seals that keep cold air out and warm air in. 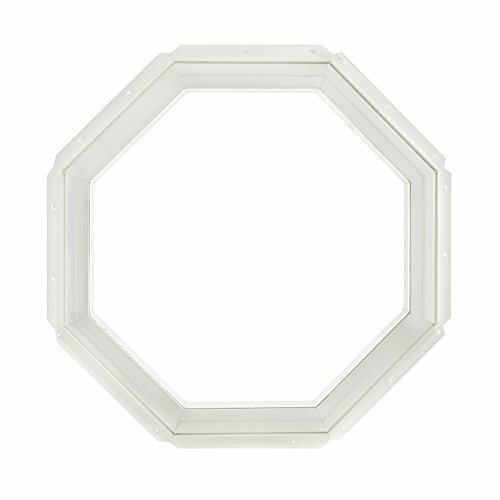 Our non-opening vinyl octagon windows will enhance the curb appeal and are sure to become a focal point of your home. Park Ridge vinyl octagon windows are maintenance free and are backed by our industry leading limited lifetime warranty covering manufacturing defects. Park Ridge fixed pane octagon windows with grids are manufactured with a heavy duty extruded fully welded vinyl main frame that forms a weather tight seal. 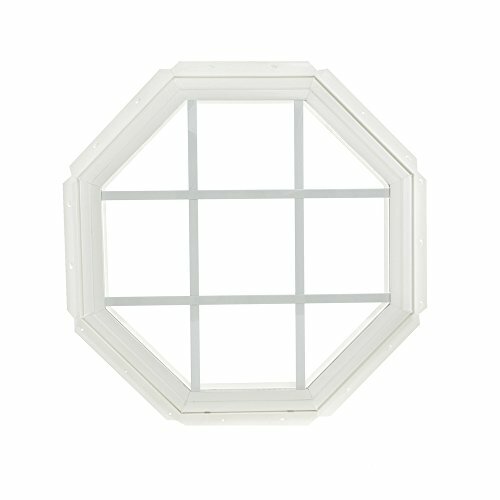 These gridded octagon widows come with 3/4" inch insulated glass and durable seals that keep cold air out and warm air in. Our non-opening vinyl octagon windows will enhance the curb appeal and are sure to become a focal point of your home. Park Ridge vinyl octagon windows are maintenance free and are backed by our industry leading limited lifetime warranty covering manufacturing defects. Park Ridge fixed pane octagon windows are manufactured with a heavy duty extruded fully welded vinyl main frame that forms a weather tight seal. 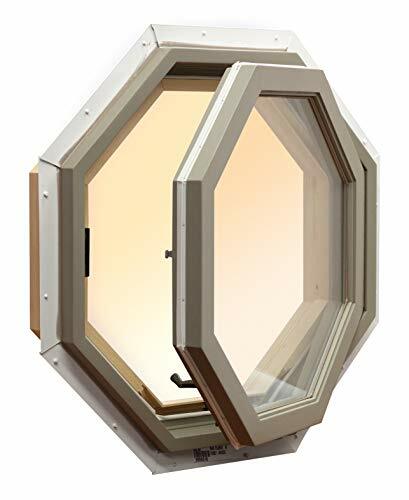 These octagon widows come with 3/4" inch insulated glass and durable seals that keep cold air out and warm air in. 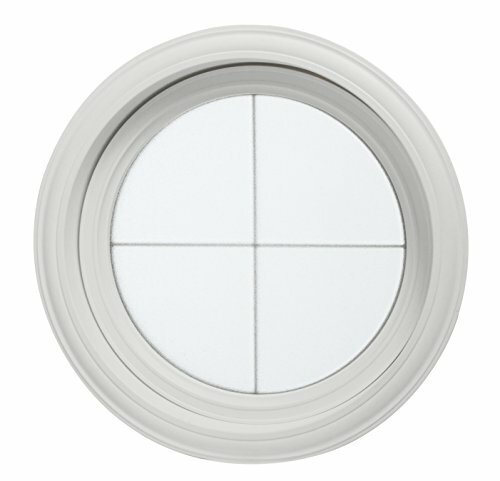 Our non-opening vinyl octagon windows will enhance the curb appeal and are sure to become a focal point of your home. Park Ridge vinyl octagon windows are maintenance free and are backed by our industry leading limited lifetime warranty covering manufacturing defects. Chase Virtual Window - For rooms that have no real window. Great for basements. Turns that small high basement window into a full size window. For use during remodel construction. The Chase virtual window is a self contained unit that offers the illusion of having a full window in your basement. The unit fits between wall studs set to 32" on center. You supply trim, and curtains. The unit contains an LED light array that is controlled by the included remote control. For basement renovations where a small high window or no window currently exists. Contains a powerful array of LED lights illuminating the scene. Remote control included. Includes changeable scene, sash and remote control for on/off and dimming. 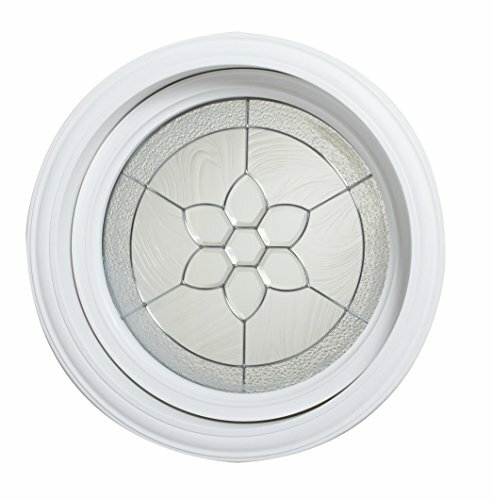 Park Ridge oval and round specialty windows offer beauty and privacy with leaded glass finish details. 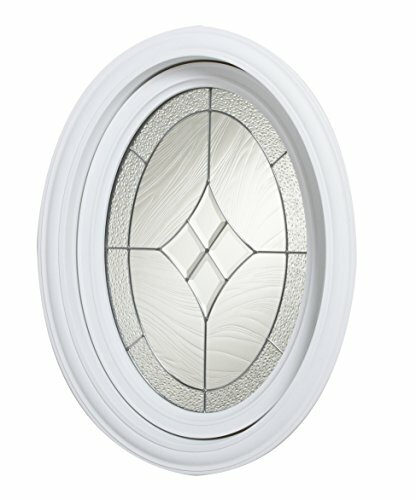 Inserted between two pieces of clear glass, the leaded glass (platinum or gold accented) is sealed for energy efficiency by triple glazing in a decorative main frame. Ornate beveled glass pieces add custom depth to all of our designs. 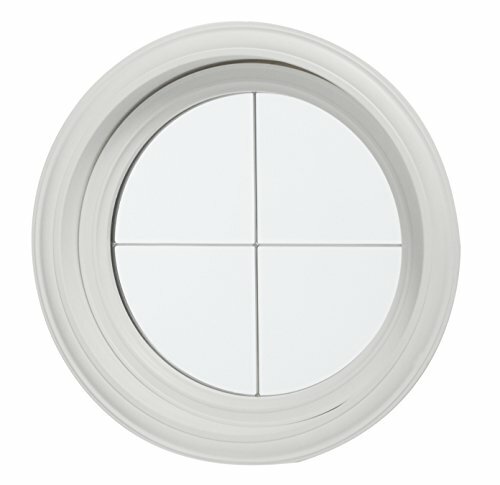 All of our oval and round specialty windows are fixed, non-venting units. The window frames and trim kits are paintable to match any home decor. 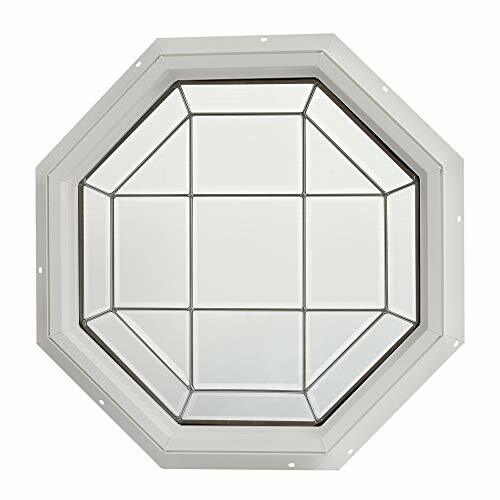 Park Ridge Vinyl Octagon Fixed Window with Platinum Geometric Diamond Grids & Triple Pane Beveled Glass, 22" x 22"
Our Park Ridge fixed pane octagon window comes with triple pane, diamond grid pattern, beveled glass. 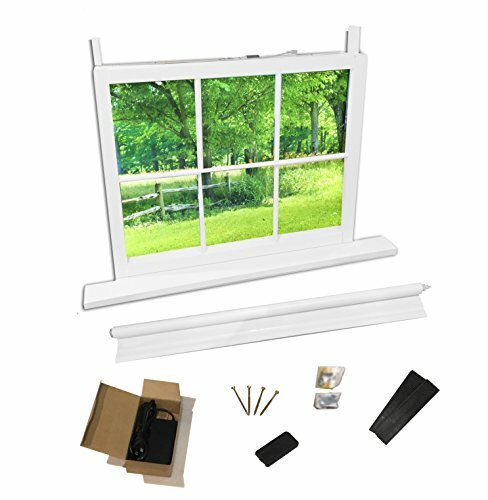 This non-operating window is manufactured with a heavy duty extruded fully welded vinyl main frame that forms a weather tight seal. 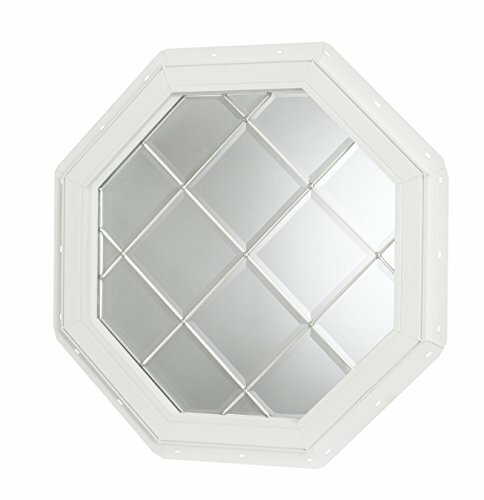 These diamond grid pattern octagon widows come with 3/4" inch insulated glass and durable seals that keep cold air out and warm air in. Our non-opening vinyl octagon windows will enhance the curb appeal and are sure to become a focal point of your home. Park Ridge vinyl octagon windows are maintenance free and are backed by our industry leading limited lifetime warranty covering manufacturing defects. 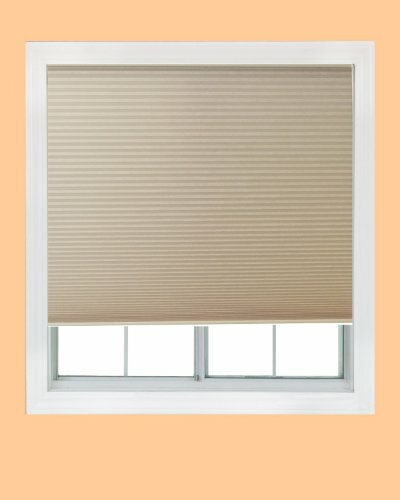 Easy Elegance is a trim-to-fit line of elegant, affordable shades that offers the style and convenience of custom shades. Easy Elegance shades are trimmed at home using our patented measuring scale for a perfect fit. The trimming tool and cutting guide are included; no need to buy extra tools to complete the job. Easy Elegance shades install using a simplified version of a traditional bracket mounting for an inside or outside mount. The unique toggle switch on the bracket allows for easy installation and removal. Easy Elegance shades utilize a cordless lifting mechanism that is effortless and safe for children and pets with no exposed cords. They raise and lower smoothly with a light touch to the bottom rail or enclosed handle. Easy Elegance shades are produced with light filtering fabric that softly streams light in while providing instant privacy. Easy Elegance light filtering shades protect your decor from harmful UV rays while the honeycomb fabric cells trap air within the window, helping to keep rooms warm in the winter and cool in the summer. Easy Elegance shades can be kept clean by regular dusting or a light vacuuming with an upholstery attachment and come with limited lifetime warranty. Energy efficiency: a new greenhouse automatic window opener. Non-electric, use solar energy, open or close the greenhouse vents as the temperature rises or falls, and is environmentally friendly. Auto: Automatically changes to maintain optimum growth temperature and prevent greenhouse overheating. The adjustable open temperature range is 15 - 25 / 60 - 77 F.
Application: Suitable for your greenhouse window to open and close the temperature of the greenhouse window. 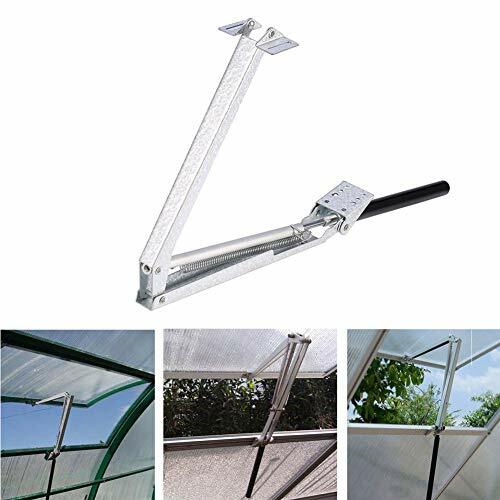 Easy to assemble: Screws and mounting manuals including accessories can be clipped or screwed onto the greenhouse frame, making sure your greenhouse window is free to open at least 45 cm (18 inches). General: The automatic ventilation opener is suitable for most existing garden greenhouses.  Key Words Patchwork women Classic Vintage Women Dress Summer Cotton Dress Casual Dress Plus Size Dress Ladies Dress Women Dress Classic Vintage Summer Cotton Dress Casual Dress Plus Size Dress Ladies Classic Vintage Dress Women Dress Summer Cotton Dress Casual Dress Classic Vintage Plus Size Dress Ladies Dress Women Dress Classic Vintage Summer Classic Vintage Cotton Dress Casual Dress Plus Size Dress Ladies Dress Women Dress Summer Cotton Dress Casual Dress Plus Size Dress Ladies Dress. Material : Polyester.100% Cotton, Fabric has no stretch,Welcome to lingsge,The store is committed to creating affordable, cost-effective products, The lowest ex-factory price is dedicated to the customers. 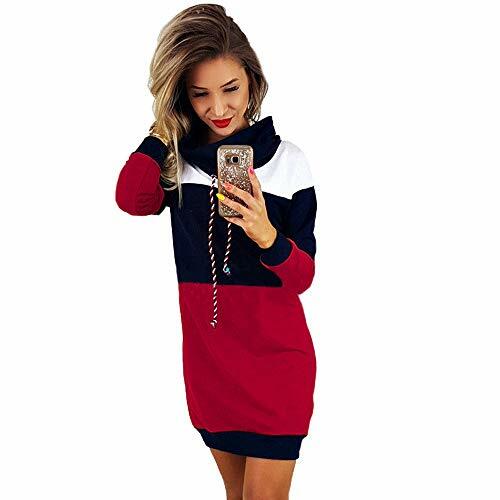 Features : Lightweight, Anti-ultraviolet, Windproof, Quick-drying, Drawstring, Colorblock, Zipper, Pocket, Contrast Mesh, Zipper, Classic Vintage Chevron, Regular Fit,Women Dress Summer Cotton Dress Casual Dress Plus Size Dress Ladies Dress Women Summer Dress Women Summer Dress Women Summer Dress Women Summer Dress Classic Vintage Women Summer Dress. Care : Hand-wash, Dry Clean, Do not machine wash, Machine wash easily damage the fabric's waterproof performance.Women Summer Dress,Women Summer Dress Women Summer Dress Women Classic Vintage Summer Dress Women Summer Dress Women Summer Dress Women Summer Dress Women Summer Dress Women Classic Vintage Summer Dress Women Summer Dress Women Summer Dress Women Summer Dress Women Summer Dress Women Summer Dress. Gender : Women, Season,Spring,Autumn,Winter,Summer. Casual,Fashion,Please refer to our Size Chart at the product description. Recommended to choose 1-2 size up. Please allow 0.5-1 inch differs due to manual measurement, We have put the detailed size information in the left product picture column, please check it before order,thanks.Women Summer Dress Women Summer Dress.Classic Vintage. Outdoor Activities : This Jacket is great for outdoor liftstyle in all season, such as Travelling,Hiking,Daily,Outdoor climbing, Running, Fishing, Cycling, Camping, Traveling, Picnic, Driving, Rock climbing, Trekking. Best use : This softshell flight bomber jacket is perfect to wear out to lunch with friends and warmth on the job, and also great for casual wear, sportwear, clubwear, motorcycling, racing, camping and walking in street, and perfect for fall,spring and the start of winter.